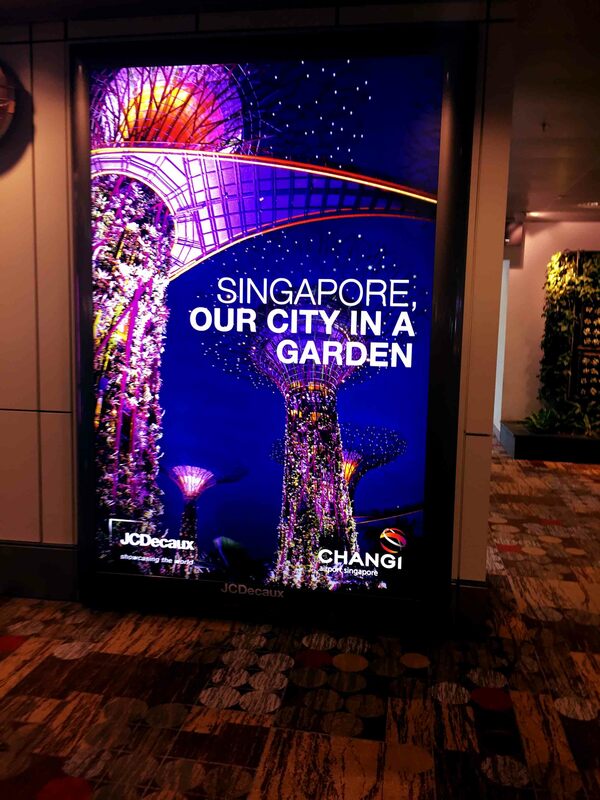 Singapore Changi Airport or simply called Changi Airport is the primary civilian airport for Singapore. 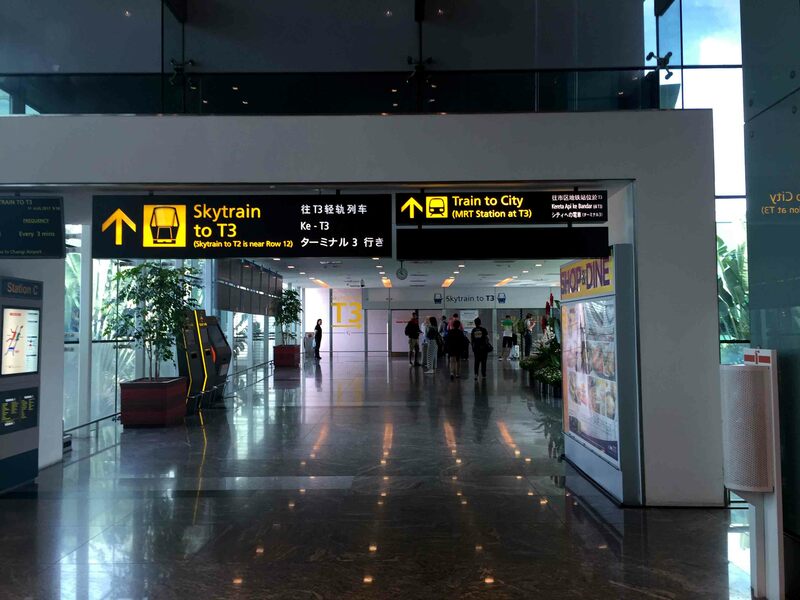 It is one of the largest transportation hubs in Southeast Asia and is currently ranked as the World’s Best Airport by Skytrax for five consecutive years. 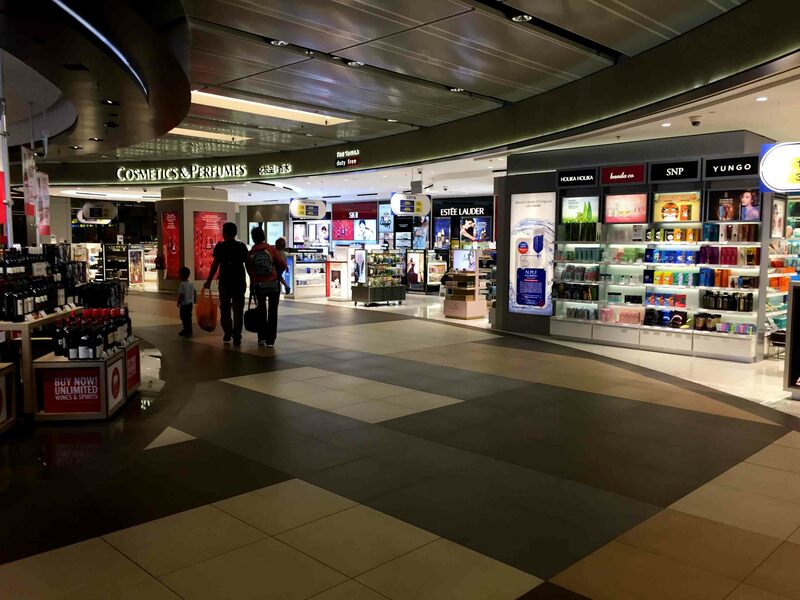 SIN is one of the world’s busiest airports by international passengers and is the home base of Singapore Airlines, SilkAir, Scoot and JetStar. 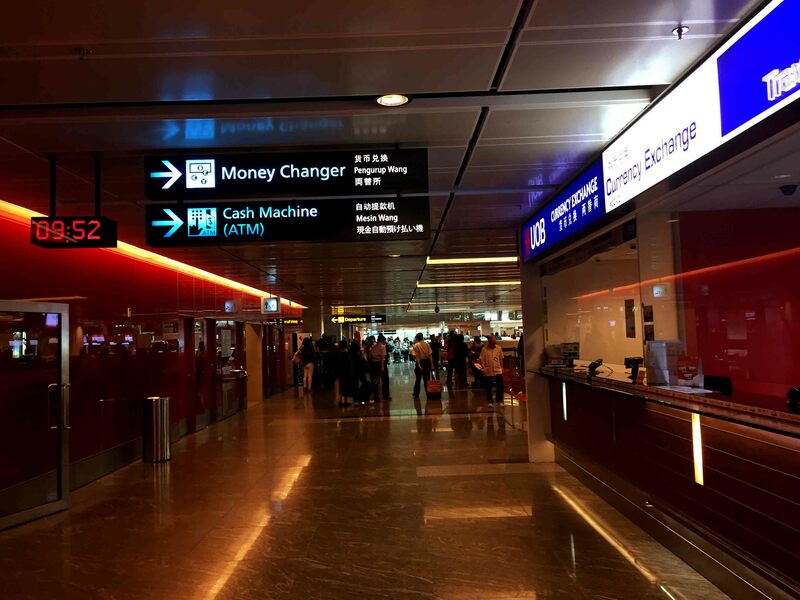 My expectation before I got to Changi Airport was really high because of all the positive feedback I’ve heard from other travelers who utilized the airport, the reviews from airport organizations, and also the advertisements I’ve seen in the worldwide web. So, upon deplaning, I saw how tidy the airport was. 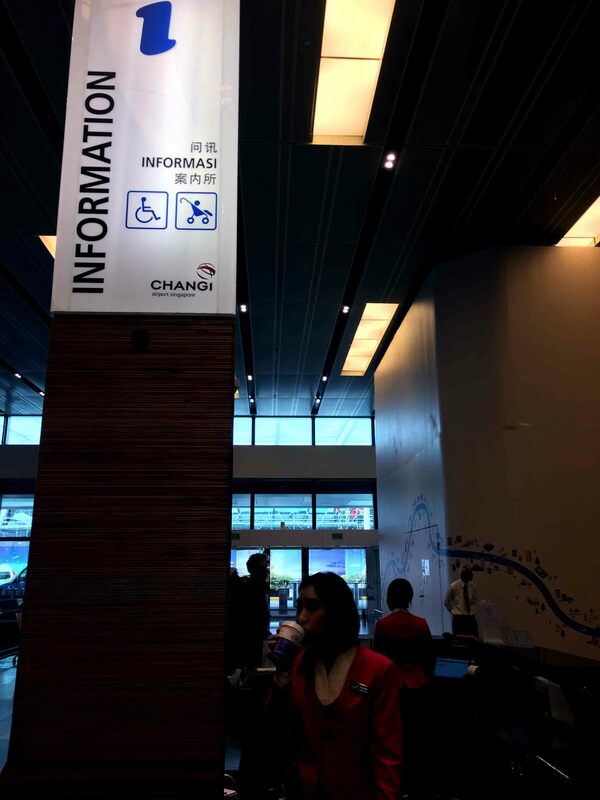 We arrived at Terminal 1 of Singapore Changi Airport. Signs and directions are everywhere. The immigration counters are well organised and modern. 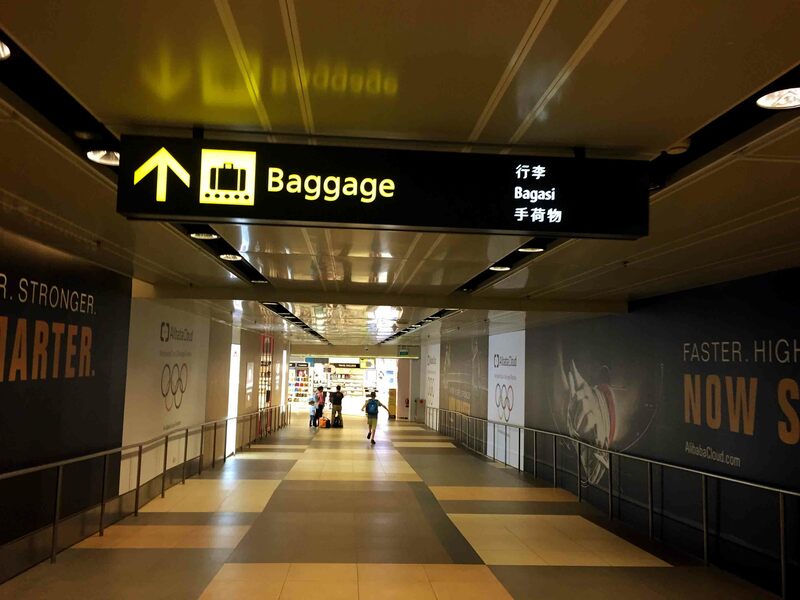 Like other airports, after passing thru immigration counters is the baggage claim. Baggage claim signage directs every passenger to the right location. 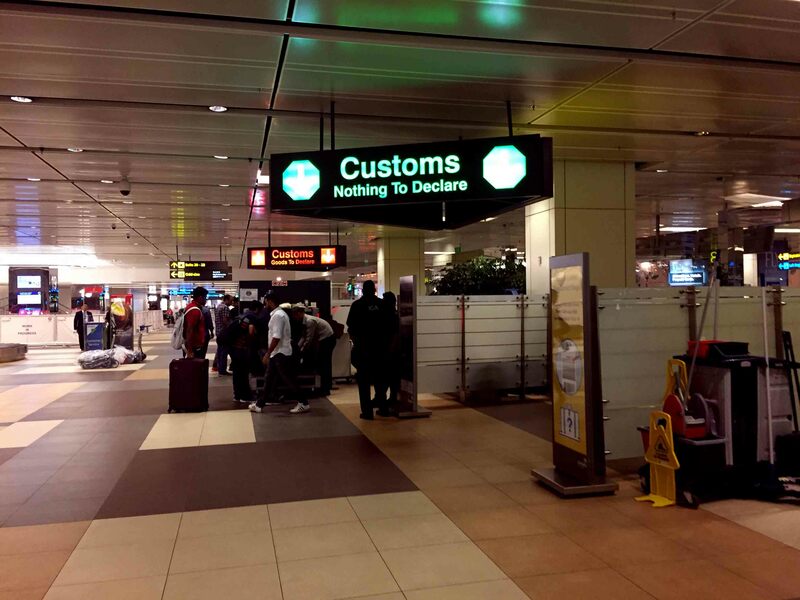 After getting the passenger’s luggages, customs counters will be next. There are two counters. One is for goods to declare and the other for nothing to declare. 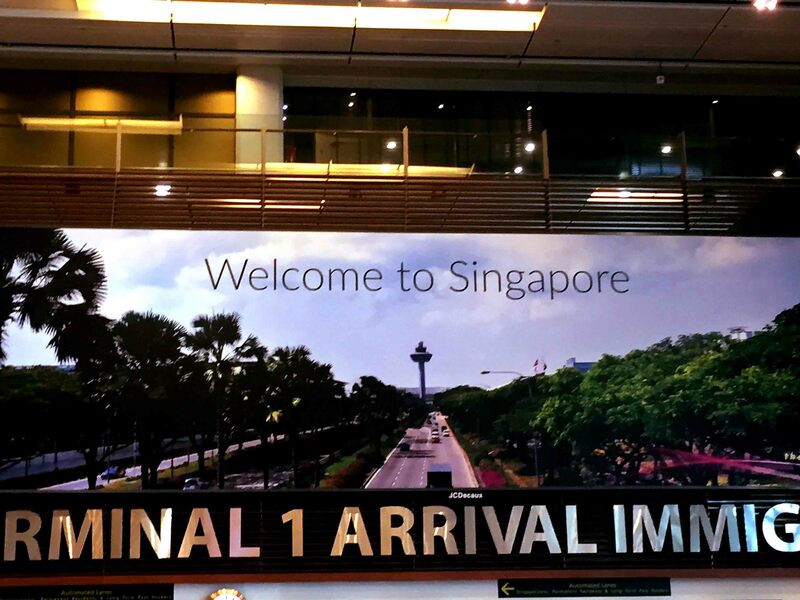 Once cleared with customs, I went to find a way to get to downtown Singapore. 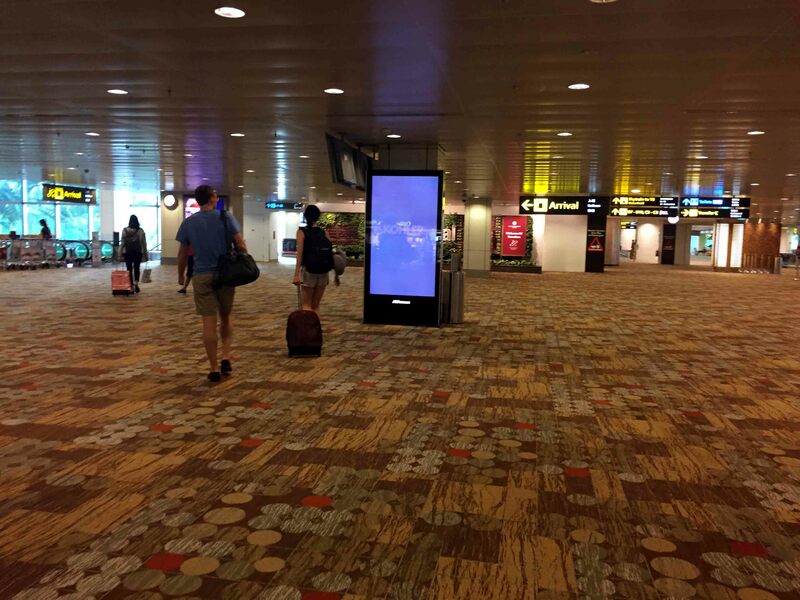 It is quite convenient if you are in Singapore Changi Airport. You have access to your banks whatever country you have them. ATMs can be found near the information desk and accept cards that have VISA, Mastercard and other bank logos. I’m just grateful that they have them because I was running out of cash. Of course, they also have money changers. 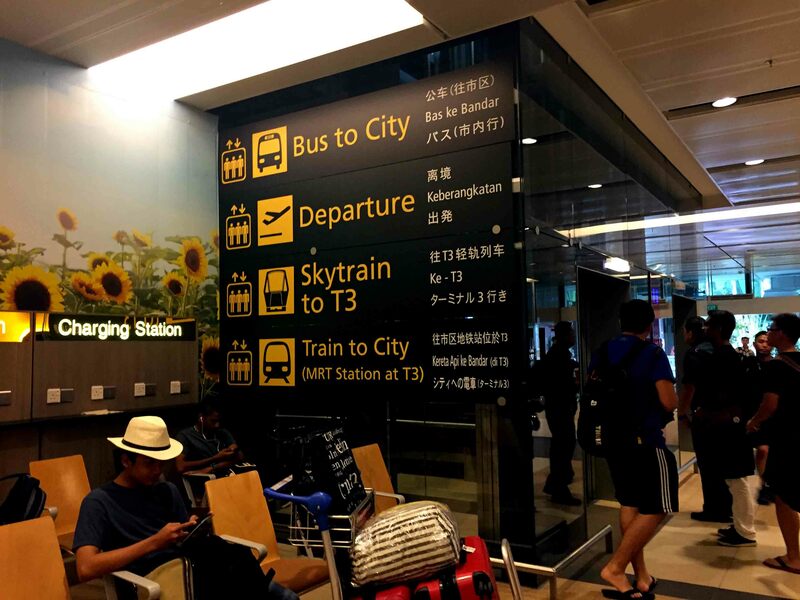 The airport is also accessible to different modes of transportation from taxi to trains to private car services to buses. Directions to Buses, SkyTrain and etc. I took the SkyTrain to Terminal 3 since the train station to the city is over there. 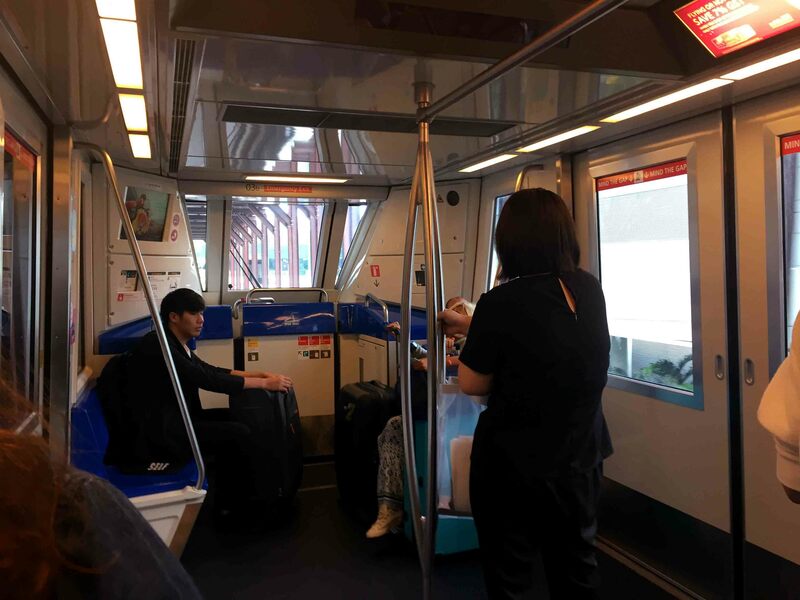 The SkyTrain was neat, fast, and comfortable. 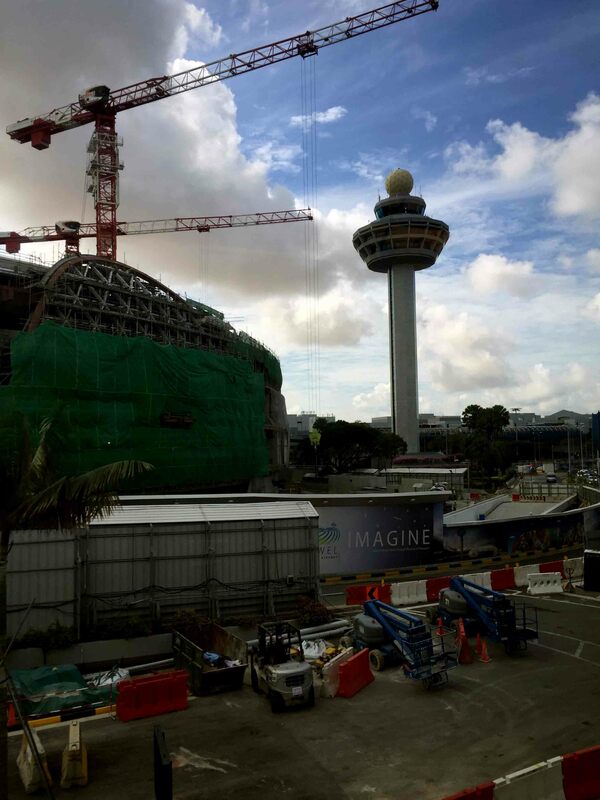 We passed thru the view of the air control tower and the construction of a new terminal. Construction of a new terminal. It took few minutes to get to Terminal 3. 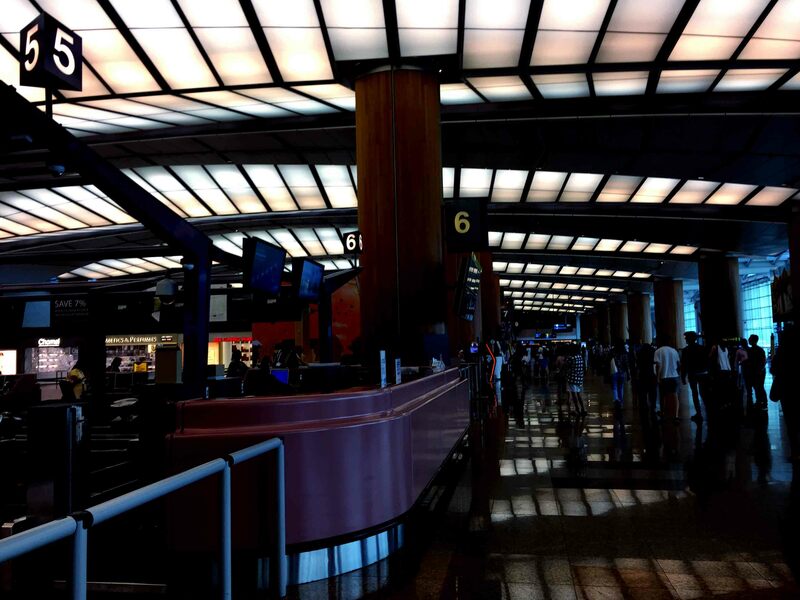 But the terminal was simply beautiful. I was in awe. I want to spend more time in the terminal but I got to go to the city and explore the Merlion country. 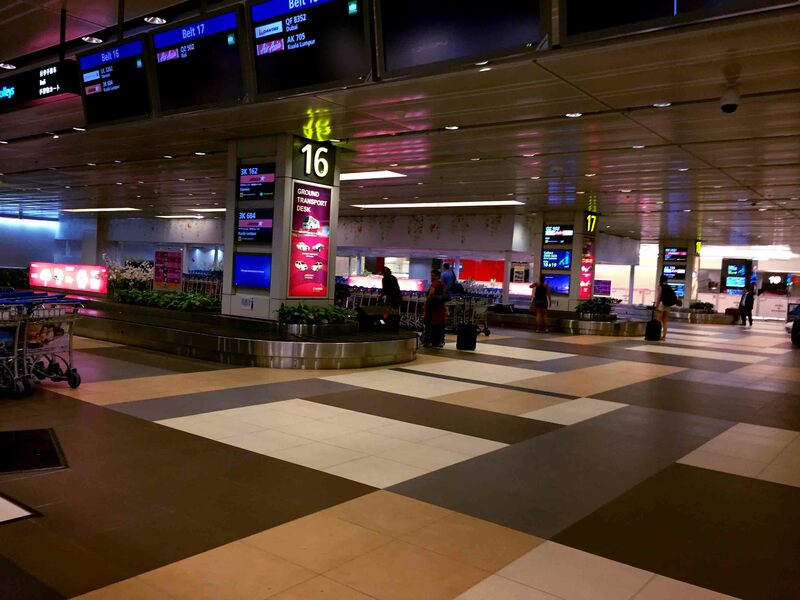 Departure area of the Singapore Changi Airport is so huge. They have lots of airline counters to accommodate all of their customers. 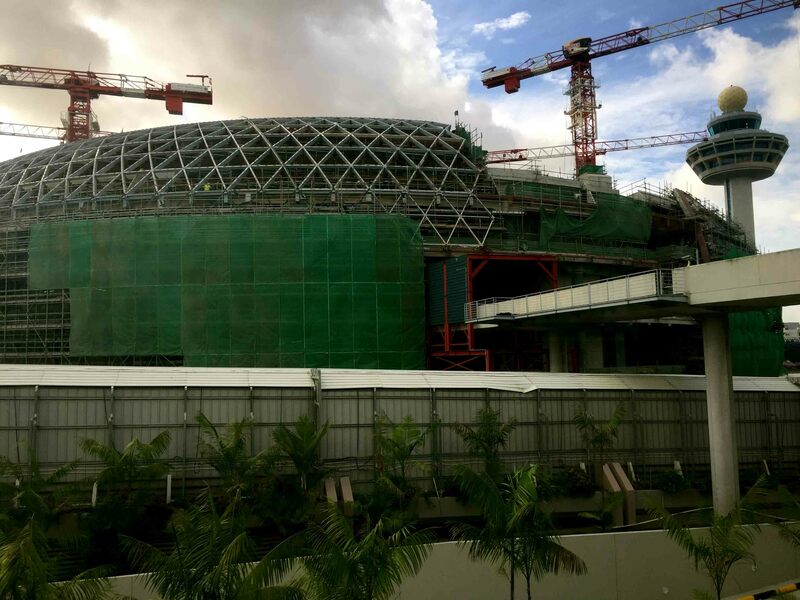 That is also the reason that the airport is constructing a new terminal for the growing travelers. 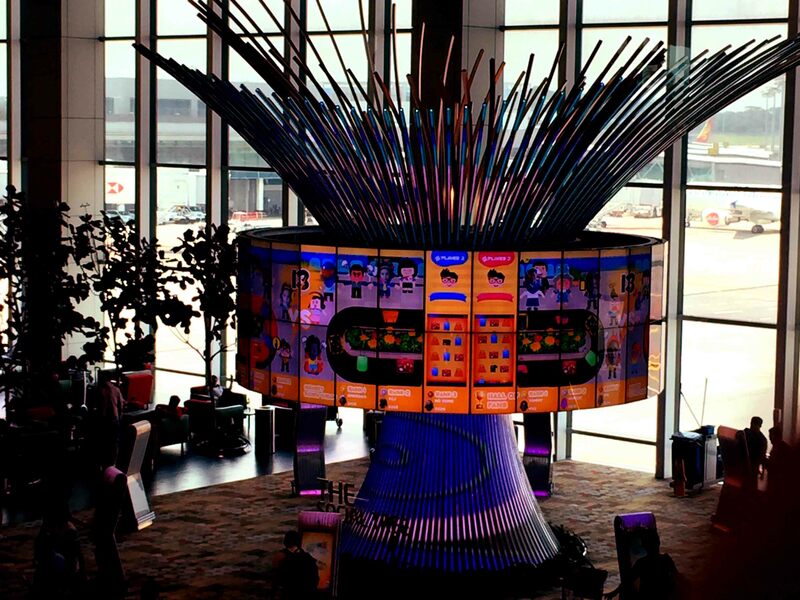 My airline carrier was situated in Terminal 2. Since I flew thru AirAsia, they have self check-in counter to get the boarding passes. 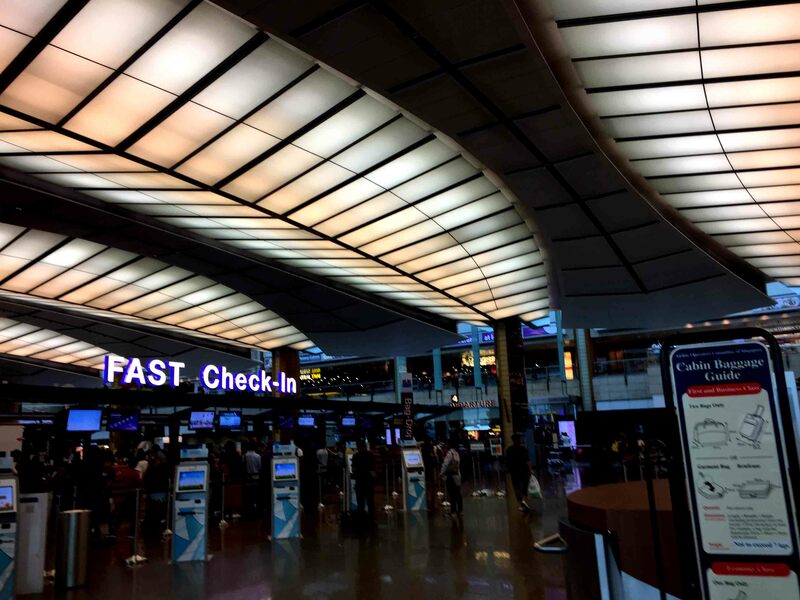 When I got my boarding pass, I was shocked to see that Changi Airport is already doing the fast check-in for immigration. 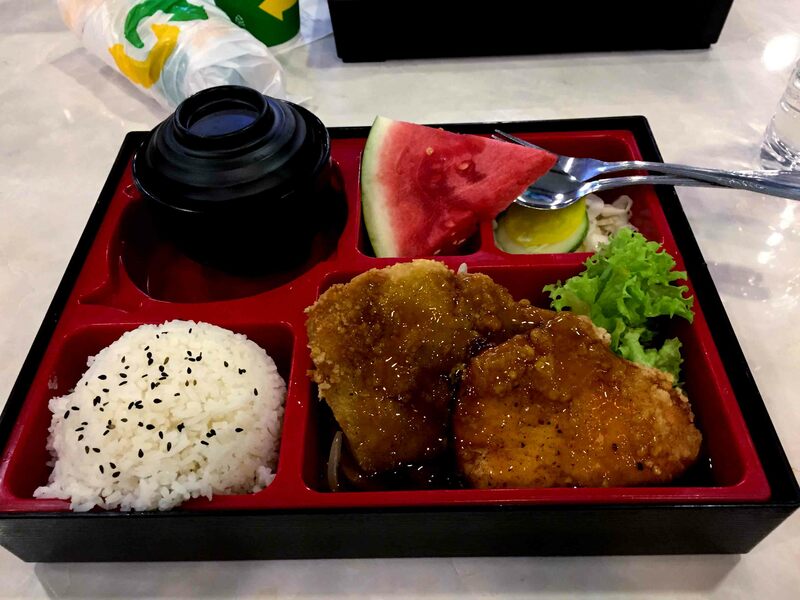 You don’t have to see the immigration officer. The passengers just need to scan their passports and do the bioscan thru fingerprint and clear to go. 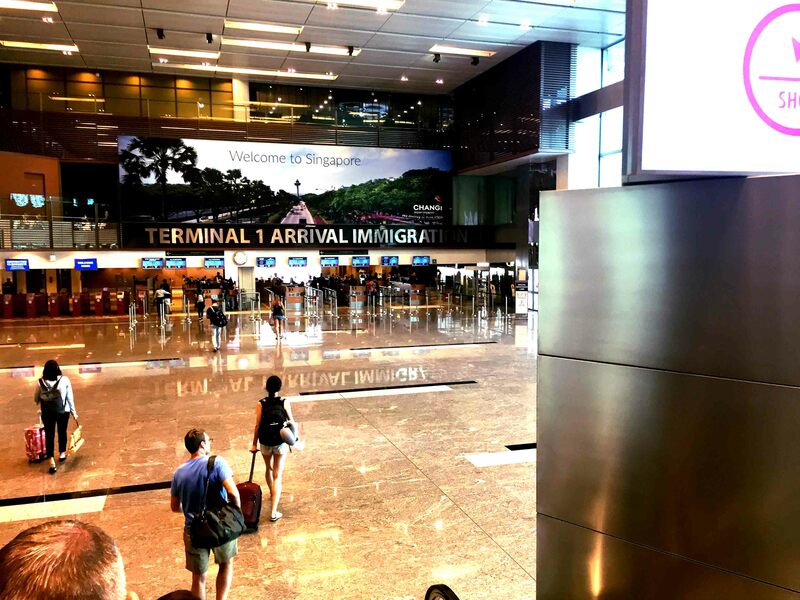 No more hassle of waiting for the immigration officer to see you and stamp your passport. It is also somehow a bummer since I travel coz I want to collect stamps of other countries I’ve visited but if that is the future of flying and crossing countries, then I’ll just embrace it. After passing thru immigration, you just have to go to your boarding gate while waiting for your flight or you could spend your time playing, swimming and many more. 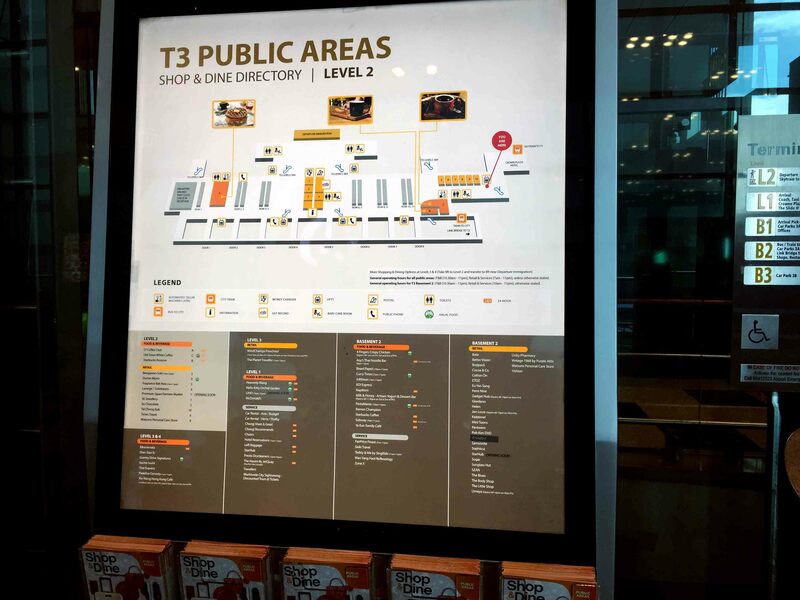 There are a lot of activities you can do while in Changi Airport. To know more, just visit their site here. 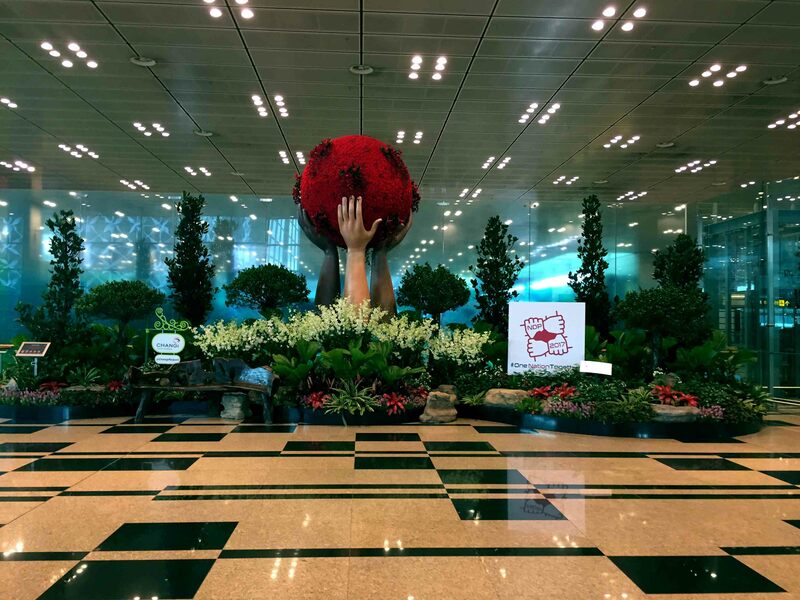 At the end of my stay in Singapore Changi Airport, I could definitely attest that it is the best airport I have gone to. It has lot of services offered to all the guests and it even beats other hotels or amusement parks. It is one extraordinary airport. Kudos and I hope to land to Singapore again one of these days. Благодарим вас за предложение, но я все еще участвую в процессе доработки этого блога.